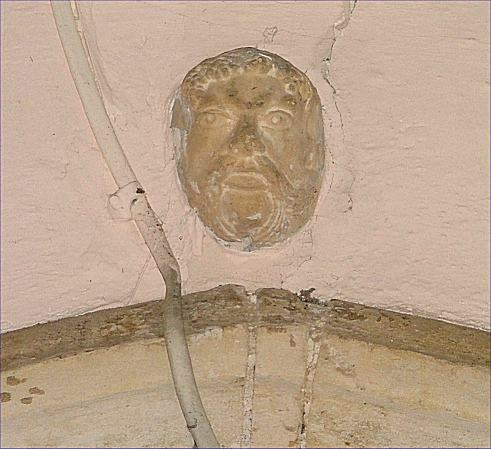 Most of our medieval churches bear strongly the marks of their Victorian restoration. 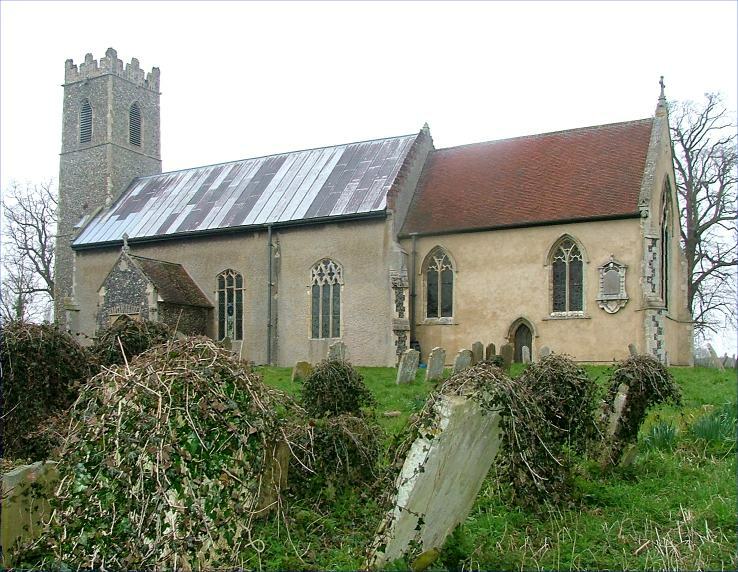 Before the 19th century Anglican revival, congregations were generally small, the buildings neglected and the Church more an arm of the state than the body of Christ on earth. The Victorians saw that this was a bad thing, and during the course of that century changed the churches back from preaching houses into sacramental worship spaces. Part of this process involved a massive redecoration, and many medieval churches found their internal walls muralled and frescoed with bright colours, slogans and images. In the 1950s and 1960s, such things became anathema, and were mostly painted over. Few survive, and even those that do hold on to life precariously, as they are now of an age where they would be expensive to restore. I knew that Hedenham had an extensive selection of Victorian murals, and so I was quietly excited. However, my heart sank as I approached the porch, because it was firmly padlocked. I had spent the morning exploring the churches of the wonderful Hempnall group of parishes - all open, all welcoming, all well-maintained and obviously loved and used. This was my first step of the day outside the group, and it was depressing to find a building that was locked with no sign of a keyholder, no sign of any life even. 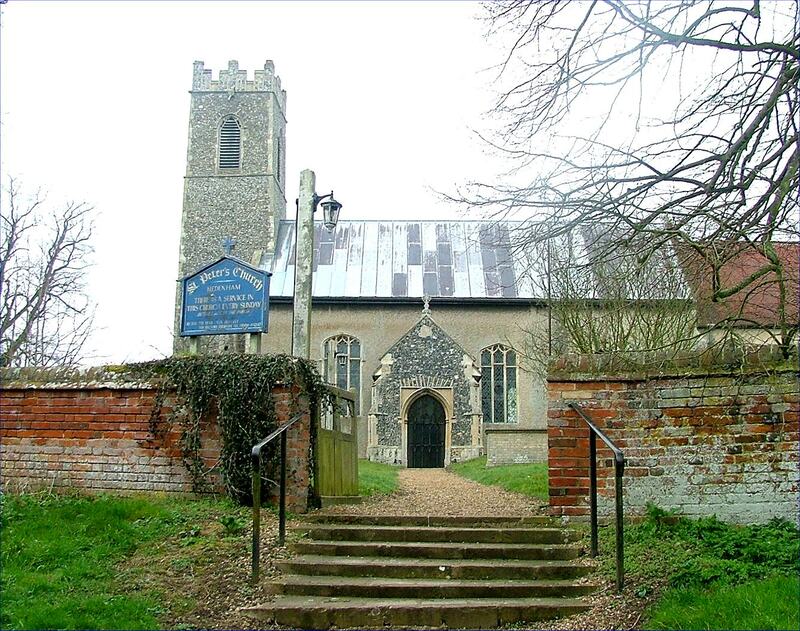 I was a little surprised, because I knew this church is not redundant, but is part of the same group as neighbouring Ditchingham and Earsham, which welcome visitors, strangers and pilgrims, and as remote Broome, which at least lists a keyholder. St Peter is not remote, its compact village providing a good custodian, but here I was, locked out with no hope of getting in. I had also heard that the monuments here were worth seeing, with several of great interest, but I was not going to be able to see them either. All I could do was wander around the graveyard sighing. Peter Stephens has come to the rescue with a selection of interior shots, which you can see below. 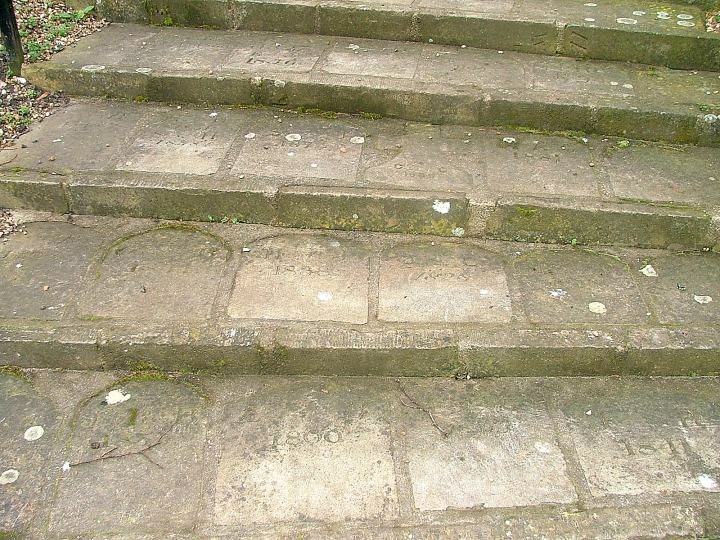 And I did find one thing of interest outside - as at Ditchingham, the steps up to the graveyard here are paved with graveyard foot stones removed and reset by lawnmower enthusiasts, presumably. Eerie.